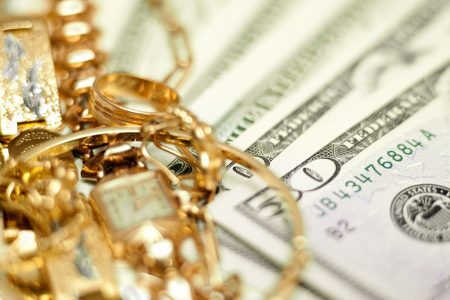 Our office commonly sees the crime of Dealing in Stolen Property charged by law enforcement in situations where our client may have sold items to a pawn shop that were later determined to have been stolen. The offense of Dealing in Stolen Property may also be charged when a person attempts to buy or sell stolen items at a flea market, on-line auction, or through Internet classified ads. Dealing in Stolen Property is defined by Florida law as, “Any person who traffics in, or endeavors to traffic in, property that he knows, or should know was stolen is guilty of a felony of the second degree.” Florida Statute 812.019. Because Dealing in Stolen Property charges are classified as 2nd degree felonies, they carry additional consequences, including a general prohibition against the Judge imposing a withholding of adjudication. Florida Statute 775.08435. For this reason, it is imperative that persons charged with Dealing in Stolen Property offenses consult with experienced legal counsel. We can attempt to avoid your becoming a convicted felon by convincing the judge that a withhold of adjudication is appropriate under one of the exceptions provided for under Florida Law. Learn more about avoiding a felony conviction by receiving a withhold of adjudication. Were the goods sold shortly after their theft? Was the purchase made with untraceable cash or by your check or credit card that is easily traceable to you? What was the amount you paid for the goods and how much does that amount differ from the true fair market value? At what location and time was the transaction completed? For example, a back alley looks far more incriminating than a retail establishment. Whether you knew the individual prior to the transaction and whether you can locate and identify this person? Seeking to Avoid a Conviction – Even if the State proceeds with a prosecution for “Dealing in Stolen Property,” we may be able to achieve a Withhold of Adjudication by providing the Court with one of the circumstances found in Florida Statue 921.0026 that affords the Judge the discretion to avoid imposing a formal conviction for “Dealing in Stolen Property” offenses. If you have been charged with Dealing in Stolen Property, Grand Theft or other Felony Theft offense in St. Petersburg, Clearwater, or any other area of Pinellas County, we are criminal defense lawyers who can help. Let’s discuss the individual facts of your case and decide on the most beneficial course of action. Call our office at (727) 578-0303. The Consultation is Free!